KUWAIT- A protracted conflict involving the Gulf Cooperation Council (GCC) is not insurmountable, Kuwait's Deputy Foreign Minister Khaled Al-Jarallah said on Tuesday, hoping the standoff will not threaten the unity of the bloc. "We will do everything in our power to preserve peace, security and our existence," he said amid ministerial talks dealing with joint work in the Gulf region. The Kuwaiti deputy foreign minister said an issue of such enormity is too serious to be downplayed, but the "collective wisdoms of Gulf leaders would get us past this hurdle." 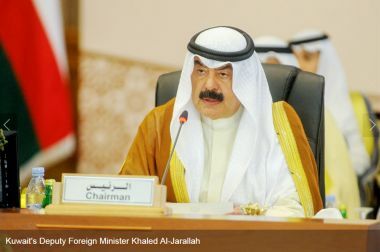 The talks in Kuwait are a "glimmer of hope" that the cohesion of the bloc would remain intact, he added, saying such meetings are needed to protect a bond that has stood the test of time. Al-Jarallah went on to say that since the GCC ministerial council's inception in 2008, tremendous progress has been made over plans to conduct joint work and keep the camaraderie within the regional bloc alive. The GCC's secretary general Abdul-Latif Al-Zayani thanked His Highness the Amir Sheikh Sabah Al-Ahmad Al-Jaber Al-Sabah for his commitment to bring the people of the Gulf region closer together. He highlighted the need to expedite the passage of legislations that reinforce the solidarity among Gulf nations, revealing that annual gatherings will be held to inform the people of the GCC of achievements that have been made in that regard. 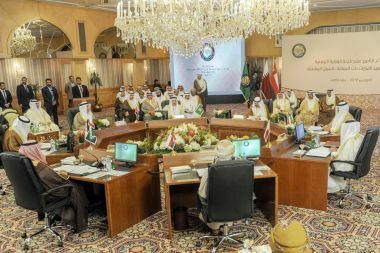 Such initiatives are a testament to the bloc's eagerness to support joint work and cooperation, the GCC chief explained.